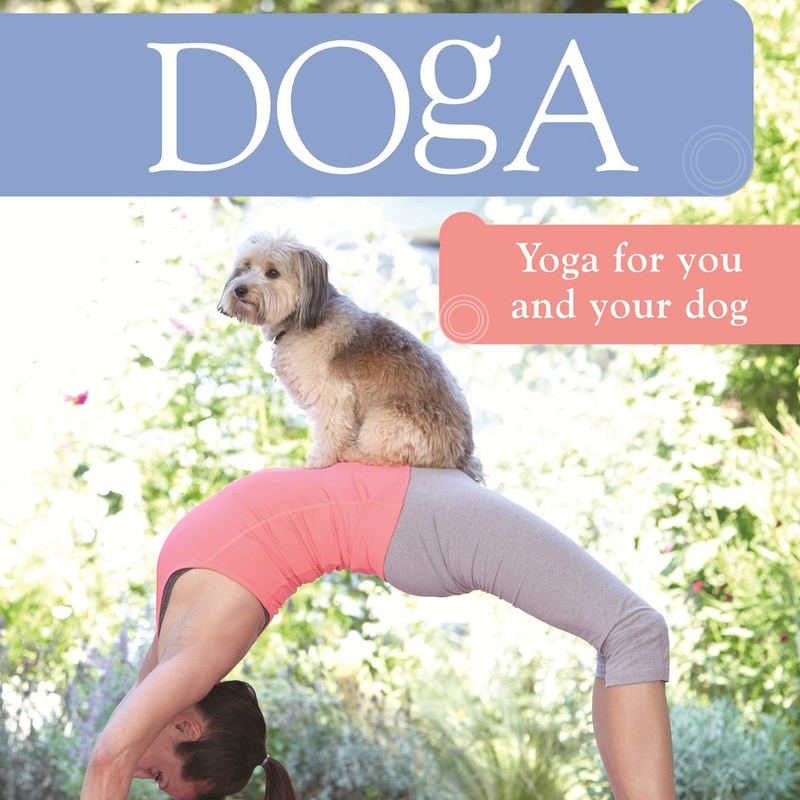 Doga is a human yoga practice that helps support the natural bond we have with our dog. 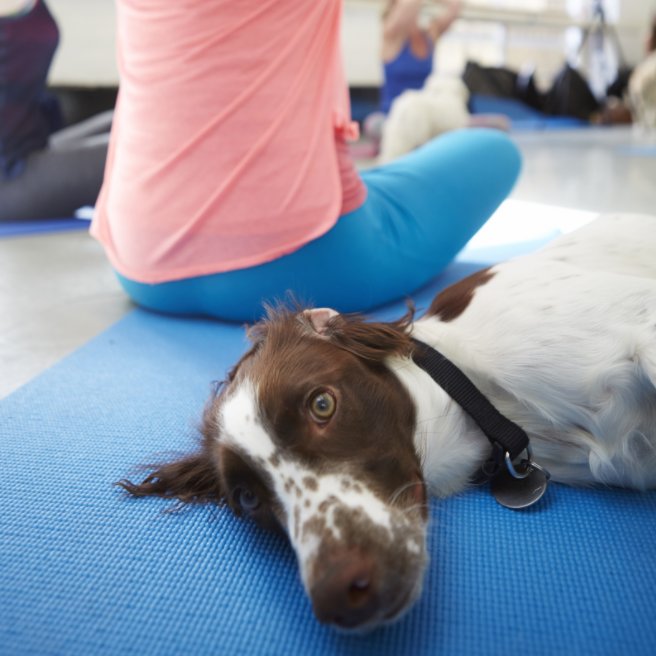 Why do Yoga with your Dog? Open Your Heart. Stretch Your Soul. As Yogis and animal lovers, the goal of compassion is at the heart of our practice and our lives. Referred to as the Divine Abode of Karuna in the Yoga Sutras (1.33), it involves a level of sympathy so deep that it inspires action to alleviate another’s pain or sorrow. 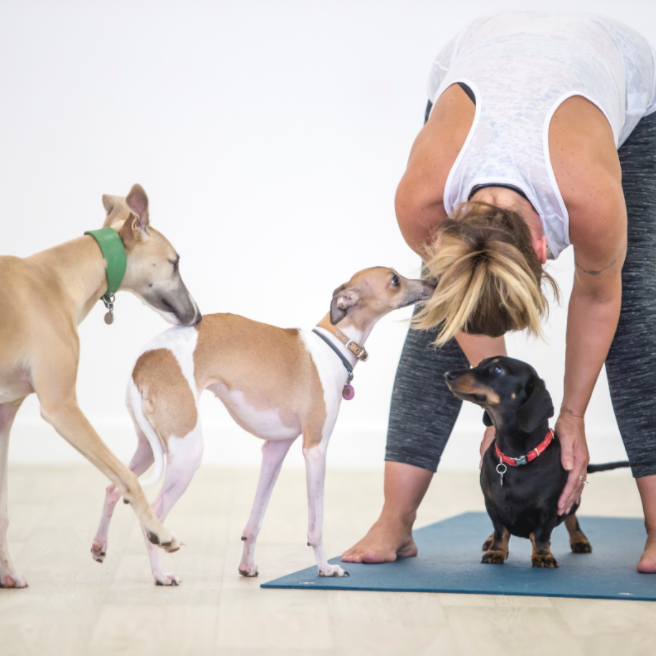 Yoga instructor and animal activist Mahny Djahanguiri is establishing June 21st as International Doga Day with the goal of bringing attention to the suffering and slaughter of thousands of dogs during the Yulin Dog Meat Festival in China. For the past 10 years, Mahny has been working tirelessly to aid charities dedicated to saving these animals from the horrors of the festival. This year, her goal is to create worldwide awareness for her cause through simultaneous Doga and yoga classes spanning the globe. 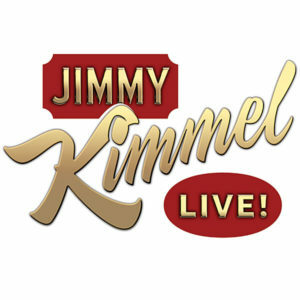 Participating instructors will provide free classes with students invited to contribute funds to Rushton Dog Rescue, a UK dog rescue charity that goes directly into Yulin each year to save the dogs from slaughter. 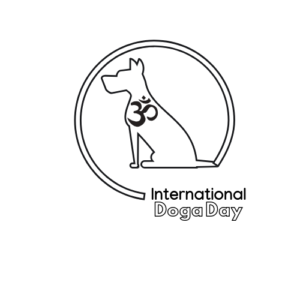 Mahny envisions International Doga Day becoming an annual event that will bring financial support and awareness to many deserving animal justice and rescue groups worldwide.